This rock has formed exfoliation joints that are horizontal to the surface. 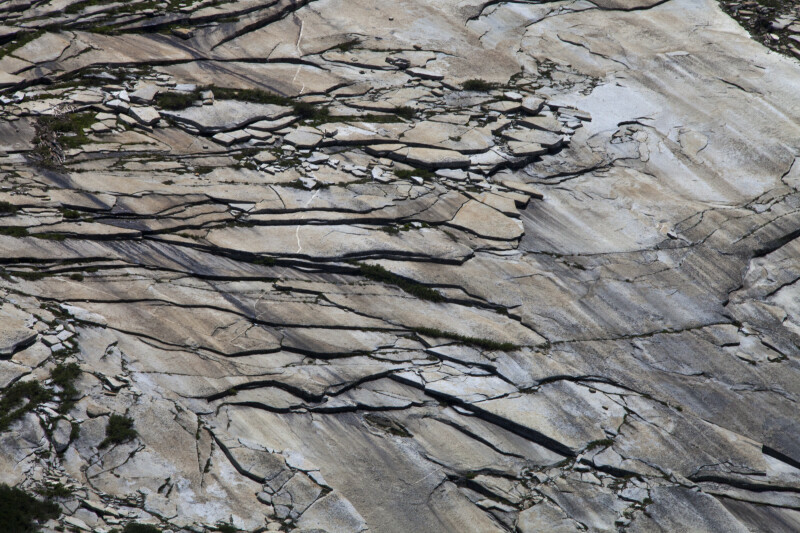 The sheets of rock weather away, leaving an irregular pattern at the edge of the exfoliation sheets. There is large smooth section in this area.